One of the things I’ve realized over the past few years is that though I personally lean toward more minimal running shoes (a shoe like the Saucony Kinvara hits my sweet spot), readers of this site have a wide variety of preferences when it comes to what they put on their feet. Coupled with this is the fact that my wife has had a long stretch of relatively injury free running after moving into a combo of maximally cushioned Hokas (first Bondi 2, now Kailua Tarmac) and wide, cushioned Altras (Torin and Intuition 2.0). All of this supports my footwear philosophy, which is basically that people are different and have different needs, and that what works best for me may not work best for someone else. I do best in minimalish shoes (but run in just about everything), my wife seems to do better in something with a fair amount of cushion. Lately I’ve been getting some great feedback when I post on shoes that I have not typically covered in the past (e.g., a traditional neutral shoe like the Nike Pegasus 31). It’s made me realize that part of my audience is not being attended to when I focus only on the minimal end of the spectrum. As a result, I’ve diversified my mix of review shoes, and have started running in things that are considerably more cushioned than I might choose if I weren’t a shoe reviewer (though you won’t likely see me in a Brooks Beast anytime soon!). 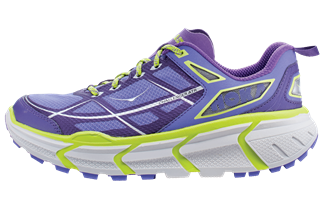 Despite the increasing diversity of shoes in my queue, I have only run once in a HOKA running shoe. HOKAs are the archetypal “maximal” running shoe brand, and they have grown considerably in popularity both in the running community and on the feet of my spouse. My one run was in a pair of the original Mafate (I think) and though I did not dislike them, they were way more shoe than I need or prefer. I’ve tried on a few other pairs and never found the fit to be quite right. 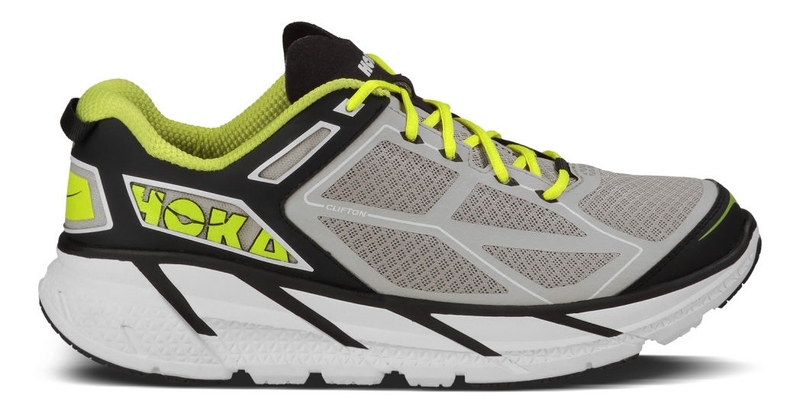 HOKA has been releasing a bunch of new models lately, and the trend has been toward lighter, lower profile models that still retain a lot of cushion (like the aforementioned Clifton and the Huaka). Yesterday I received a press release from my PR contact at HOKA, and thought I’d share the info provided on five new models set to be released for Spring 2015 – the trend toward lighter shoes seems to be continuing. The only details I have are what was provided in the press release, so not much info on drop, stack heights, etc. yet). There’s no doubt that HOKA is a hot brand right now, and when a brand gets hot the tendency is to flood the market with new models (we saw this with Vibram a few years ago). 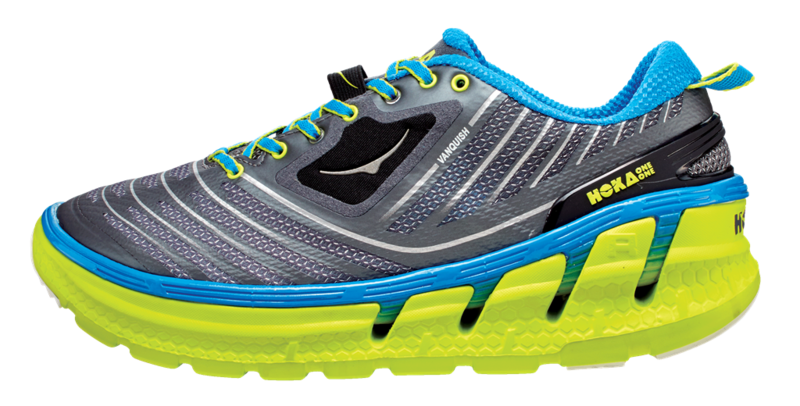 One of my worries after seeing these new HOKA models is that they are pumping out a lot of shoes without much differentiation between them. I’m not clear how they differentiate these new shoes from existing models like the Bondi, Conquest, Rapa Nui, Kailua, Clifton, and Huaka. With the Challenger ATR I can see it as being basically a Clifton Trail, which makes sense. The Constant touts stability and a “generous fit.” Narrowish, odd fit has been my issue with most HOKAs that I have tried on so far, so that makes sense as well. But where do the Odyssey, Valor, and Vanquish fit in? They need to produce a detailed comparison chart for the models in their lineup. The other big issue I have with HOKA is price. HOKAs are expensive, and they lack options at the lower end of the shoe pricing spectrum. I’d love to see a model around $100 for example. I’m a little wary when it comes to pricing since my wife tore through the forefoot upper of two pairs of Bondi 2’s in less than 50 miles each (I have heard this was a very common problem with the Bondi 2) which is unacceptable for a shoe that costs well over $100. 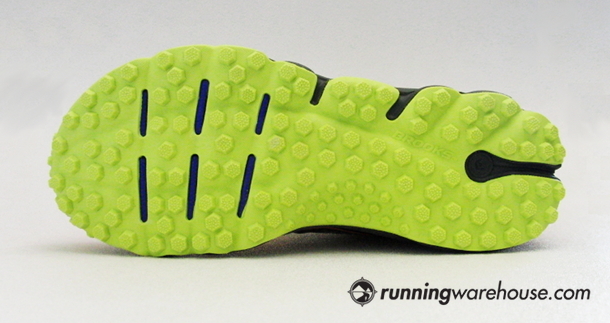 I also worry that the more cushioning you add, the more prone a shoe may be to uneven breakdown as the miles add up. Has anyone experienced this? Anyway, I’m sure there will be some excitement about these shoes as there typically is with any new release announcement. The Vanquish is most enticing to me given it’s description as a “performance running shoe,” but $170 is tough to justify. It’s also the least visually appealing of the bunch to my eye. 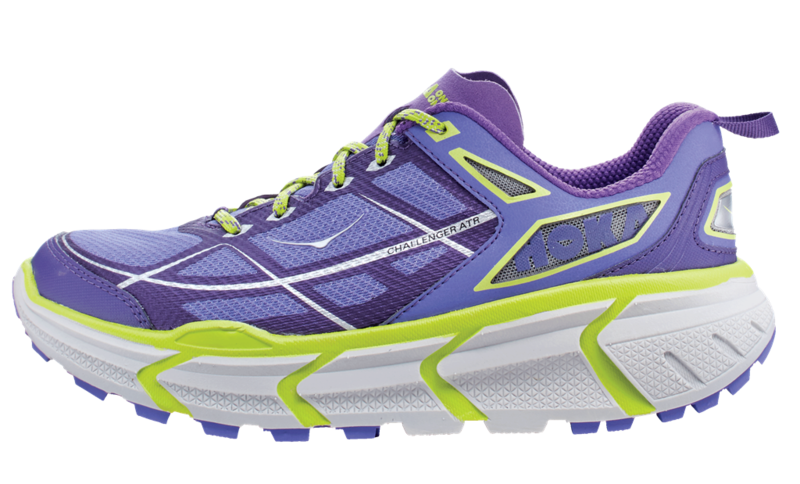 The Odyssey would be of interest as well, and at $130 it is on the low end of the HOKA pricing spectrum, but I’m not clear on how it differs from the Clifton. Hopefully as info gets leaked from the Outdoor Retailer Show going on in Utah right now we’ll get a clearer picture of where these shoes slot in. My friend Sam Winebaum is there, and I’ll be sure to post a link if he shares any further info on these shoes. 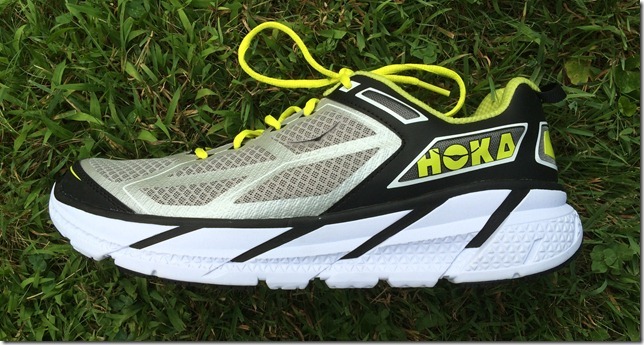 Pete – As I looked through the photos of the new Hoka models, my thoughts were exactly the same as yours: most of these new models look cool, but how do you differentiate some of them from the existing models in Hoka’s line-up. 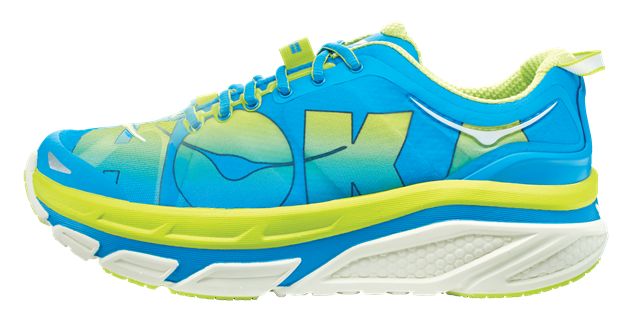 I already think there is some overlap in Hoka’s existing models. All of this said, I recently purchased a pair of the Cliftons and am really enjoying them. Best shoe that I’ve tried in a long time. The Odyssey, Vanquish and Valor are supposed to be a “Box store” shoe versions of the Clifton, Conquest and Bondi. the Constant is Hoka’s first stability shoe. Perhaps these will actually replace some of existing shoes in the HOKA line. Too many models can definitely cause confusion for consumers, but getting rid of, say, the Bondi name seems like a marketing disaster. Either way this announcement makes me scratch my head. By the way, I’m a HOKA convert. The Bondi 2 was my all-time favorite shoe. The Bondi 3 was possibly the worst shoe I’ve ever run in. I finally settled on the Conquest once my Bondi 2 reached end-of-life. I picked up some Cliftons last week and the jury is still out. I’ve heard the same from others on the Bondi 2 to Bondi 3 comparison. Sounds like they addressed the upper tearing issue but made the ride worse. I started with the Bondi 3, got rid of them, and now have the Bondi 2. I think the ride of the 2 & 3 is basically the same, but the fit is totally different. They removed the padded tongue from the Bondi 3 and that caused the effect of there being way too much room in the shoe. I could not get the 3 to lock down so that the heel didn’t slip. I basically pulled the laces as tight as they go and the shoe still slipped. I had it so tight I got some top of foot pain and that’s why I got rid of them. Hopefully the Bondi 4 will fit more like the 2. Loving the Cliftons so far after 4 runs. The Hokas have really made a difference for this over 50 runner. As I understand it, some of these (Challenger ATR, Vanquish, Valor and Odyssey) are aimed at bigger box stores rather than run specialty specifically. The Vanquish can be seen as a big-box Conquest, the Valor a big-box Bondi and the Odyssey a big-box Clifton. Thanks for the info Rachel! Add me to the confused… Which isn’t something for Hoka to take lightly… Buying the wrong $150 shoe is an easy way to lose a customer for life. For example, the Cliftons (and I think the Conquest) feel very different through the arch than other Hokas. Basically, if I run in them I get terrible blisters along the side of my arch (feels like those shoes are built up there). I read carefully but had no way of anticipating this would happen. In fact, I kept hearing the Cliftons were roomy! When will these new models be available? I’ve run a few miles in a pair of Conquests, but I have a (possibly irrational) mental block preventing me from straying too far from a traditional stability shoe (with reinforced medial posts). That said, I’d love to try the forthcoming Constant. Also — definitely agree about their overlapping model matrix. I’d imagine it’s a marketing thing, where they’re trying to appeal to all possible interested runners. Seems like they’d only need a few models to do this though. Early 2015 I think. As for the stability shoe issue, I will say I filmed a guy last week in Hokas and in a New Balance stability shoe and the Hokas actually seemed to control his foot motion to a much greater degree than the NB’s. N=1 so take that for what it’s worth, but I found it interesting. What shoes did you film? Can’t recall which models he had, maybe the Hoka Bondi or Stinson. NB was one of their standard stability shoes. My friend Brett Rivers ran the Western States 100 in the prototype of the Challenger ATR and finished 9th overall and he loves them. That is a shoe I am looking forward too. I agree the rest tend to confuse me as to where they fit in the current line up or will they replace other shoes? BTW really like the Clifton and Huaka and also liking the Mafate Speed for recovery runs. I and a couple friends had the same issue with tears in the Bondi 2s. To Hoka’s credit, they exchanged the shoes with no hassle after I contacted their customer service. I’ve been in Hokas since the early days and yes, they seem to be flooding the market but I’ll stay with them. Shoes are pricey but a knee replacement is more! 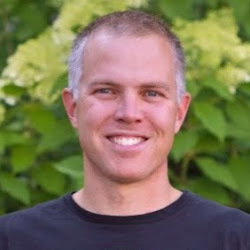 Peter, I started running in HOKA’s a year ago and I love them. I had gotten to a point where I thought I might have to give up running. With arthritis in both knees, running had just become to painful. Then a lady asked me if she could guest post on my site and she wrote about HOKA’s saving her life. After reading her post I bought my first pair and fell in love. These days I am back to running a full load with two marathons scheduled for the fall. I cannot recommend these shoes enough. Thanks for sharing your thoughts. Annie – have you written about your story anywhere? would love to read it. Or interested in a guest post here? I actually bought a pair of the Zoom Fly a few months ago, still have not run in them. Your comment is the kick I needed! Maximalism is nonsense. This recent tendancy to oversize cushioning only has a meaning for ultra distance runners. 95% of the people who buy those ridiculous looking shoes do not actually need them. Running ultras is definitely not for the average runner. I would not agree that they are only for ultrarunners. Do most people need this much cushion? Probably not. But seeing what they did for helping my wife deal with her foot issues there is a place for road runners as well. We’ve seen a number of people in the clinic have positive results in Hokas for forefoot pain- the combo of cushion and rocker seems to help. And others, including some in the comments section here, have seen benefits for the knee as well. Personally, I just ran in the Clifton the other day and though they are comfortable, I do feel like they make me work harder than I need to. Different needs for different people. I also disagree with Stephane. I run only 20 to 30 miles per week (just don’t have enough time or energy at this stage of my life to do more). Over the past three to four years, I’ve ran exclusively in more minimal shoes — e.g., Brooks PureFlow, Saucony Kinvaras, Asics Gel-Lyte 33s. But I recently began running in a pair of Hokas and am noticing a big difference in how my feet and legs feel, both during the run, and particularly the next day. Forgot to mention that I am in the 50+ crowd, so perhaps that makes a difference. IT’s all about finding what works, or finding the right mix of things that keep you feeling most fresh and injury free. Yes, you’re right. If your wife (and others) have been helped on their way back to running, surely Hokas are not only for ultra runners. It’s just that I can see the rationale behind minimalism but I have a much harder time seeing how you rationalize maximalism. I’m pretty convinced groundfeel and flexibility are two essential aspects of healthy running and I can’t see how those can fit in with maximalism. To me the whole thing feels like a fad whereas minimalism feels like the right way to go about running. I agree as well, but unfortunately many of us as adults have a lot of baggage developed over the years whether it be from lots of inactivity, poor shoe history, etc. So it becomes a matter of finding what works to keep each individual running and enjoying the sport. That’s really the end goal, and whatever shoe it takes given your circumstances is the way to go. I would suggest that you are convinced of something that is not a fact. I resisted trying Hokas for years though I do a marathon every 3 weeks or so plus frequent shorter ultras. After I felt pretty banged up following Steamtown 2014, I decided to try Hokas for my recovery miles on the way to Marine Corps, 2 weeks later. My legs felt SO much better it was insane. Moreover, I run trails every day, and my fears about loss of control and stability due to reduced groundfeel were completely wrong. Groundfeel makes you MORE prone to lose control as your body will surely compensate for all those rocks even if you don’t notice them. When you run long races or stop paying attention for a moment, you always get situations where that acorn-sized stone turns your ankle. (Made worse for me by the leaf litter on the trail hiding the stones.) In the Hokas, I soon learned this didn’t matter as the foam soaks up all those smaller stones. Soon you are running lines you would normally avoid right through the rocks because you can. After a couple of weeks, you develop a different ground feel. I compare it to skiing. After 2 weeks in the Hokas I was too afraid to try them at Marine Corps marathon so I ran in my typical Brooks. I put that one under 3 hours as well, and turned my attention to Richmond, 3 weeks after that. I ran all my trail miles in Hokas except for one day in Brooks. When I put the brooks on, they felt light and sleek and responsive. Then, I ran the trail, and remembered that they’re jarring and overly-responsive. I was slower and more tired. Back to the “slow” feeling Hokas the next day, and that 8 miler came in at 6:50 pace versus 7:40 in the brooks, and it was much hotter on the Hoka day. I wore the Hokas (Stinson lite) for the first time in Richmond and ran my second-fastest marathon ever, a 2:56 and change, this being my 3rd sub-3 marathon in 5 weeks. I’m not that fast and not that strong. The Hokas worked wonders. As a guy who’s run 62 marathons, I thought I knew a thing about shoes. I’m glad I’m not stubborn, because I’d have missed out on what is probably the best “fad” in the last 20 years of running shoe. Great real life testimony right there….awesome. 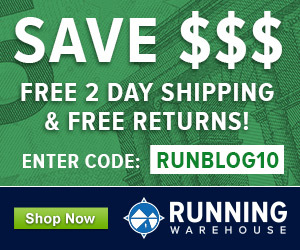 Great information and thanks for posting the type of Hoka- Stinson lite- towards the end of your post. 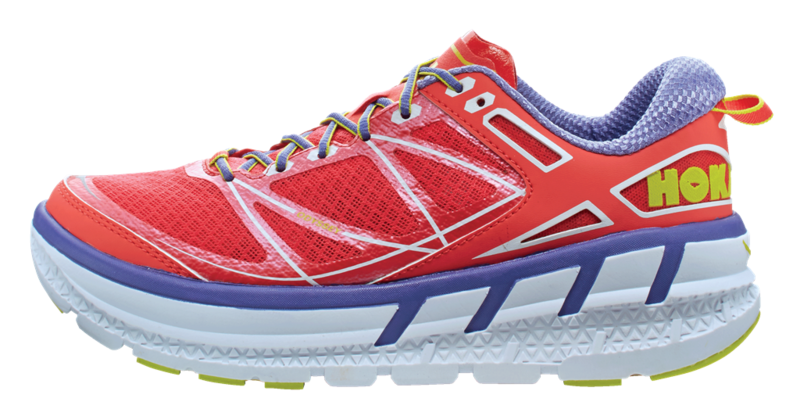 Curious how you chose the Stinson lite over the myriad of Hoka options? I feel proudly out of touch when I look at these poofy things. What’s the next phase? Running on rubber stilts? I am completely sold on Hokas. When I switched I was able to double my miles and all knee, hip and foot discomfort disappeared. My only problem has been the narrow toe box and I am looking forward to the Constant like a kid waits for Christmas. I also like Altras because of the shoe shape, but they don’t quite provide the impact protection that Hokas do. Hoping that next year they come out with a wide stability trail shoe. I know a lot of older runners (and some non-runners with hip and knee problems) who are big Hoka fans. They aren’t just for ultra runners. I am 58 yr old woman, and mostly a fast trail hiker who does a little running. Just got the men’s ATR Challenger for myself and I am in love. They have a WIDE toe box! But they fit like a glove over my heavy merino socks–I have never had a shoe that fit so well. At REI the other night, I laughed and asked the sales guy how anyone could want such “Monstrosities” when I first saw them on the shelf. He said try them on–I was shocked and converted. I had a total knee replacement in Feb. 2014. I’ve been running since 1978 and don’t want to quit. I bought a pair of Hokas and have been running for 4 months with no trouble. Love the shoes! Love, love, love my Cliftons! They are so light and all my little aches and pains have disappeared. I’ve completed two half marathons in them. I’ve been running with Cliftons for 6 months. Tried two pair of Odyssey’s and sent the shoes back right away. 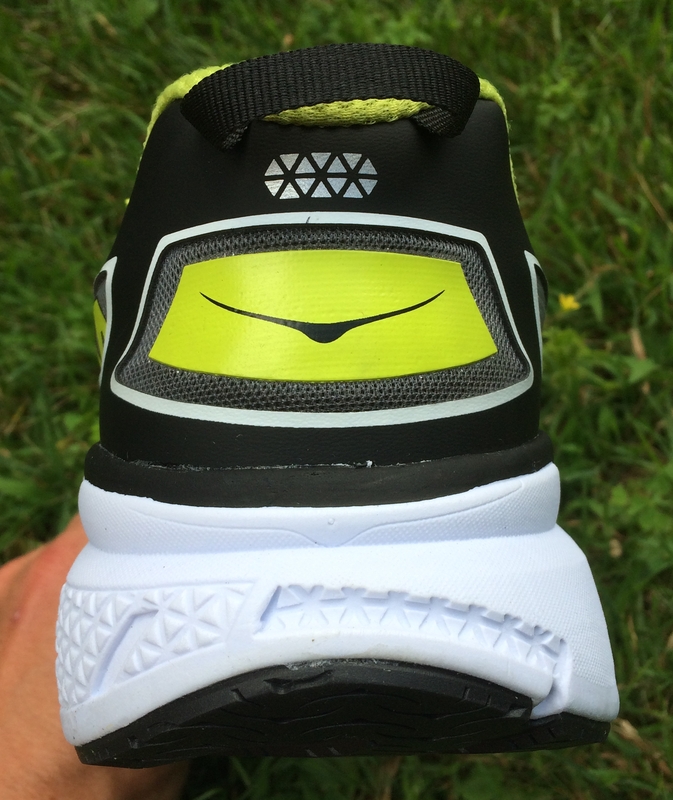 Hoka needs to work on the thin tongue fabric that rolls under. I didn’t see much difference from Cliftons. Tried the new Bondi 4. Felt great, but noticed the added weight the 1st half of a 6 mile run…then completely forgot about it on the 2nd half. Comfy. I’m told the Bondi 4’s should last 800 miles, where as the Cliftons only 300 miles…due to the difference in durability of the soles. I think Cliftons will be “dessert” shoes & saved for races & Bondi 4’s for long mileage training. I am 68 years old and have run a few 50K trail ultras plus 35 road and trail marathons. A sales person at a running store in AZ suggested Hoka’s after I told him about my IT Band and Knee issues. I switched from Brooks branded shoes to Hoka’s. I started with the Stinson EVO and Tarmac and wore them out after 650 plus miles on each model of the shoes. I wanted a lighter shoe so switched to the Clifton. I love the Clifton and have been praying for a trail model. I’m looking forward to trying the Challenger ATR version. Hoka’s have kept me on the trails and roads and I am grateful there are running shoes like this out there for those of us who need more cushion plus the stability and support the Hoka’s provide. I started with the Bondi B a few years ago and love-love-loved it. Wore out two pair. Bondi 2 had upper failure at 150 miles, got new pair from Hoka. (meanwhile, scored two pair of 1st gen. Bondi Speed at closeout.) Eventually even the shoo-goo couldn’t keep ’em going, and I got Bondi 3. Hate-hate-hate ’em. Stiff upper, rubs ankles, vamp seam right over toe/foot joint, hard midsole. Scored a pair of Bondi 4s last week, and it’s true Hoka love all over again. The vamp length improved, the padded tongue is back, and the midsole is full-on original softy wonderfulness. They improved (slightly) and distribution of carbon rubber on the outsole, but only slightly. The Bondi 4 is still a shoo-goo mandatory ride. I am a Hoka convert. They have saved my knees and make running feel good again. Anyone know when the newest version of the Clifton is coming out? Soon, I should have a sample this week of the Clifton 2. I need advice on the Hoka Constant – I have Hokas want to try the Constant – and I need cushion like the other hokas – I’ve had 7 knee surgeries and three knee replacements and the Hokas have saved my knees of what is left and I Love my Hokas. Will I be pleased with the Constant (cushion wise)..
Anna, I picked up a pair of Constants a few weeks back. Was running Brooks Glycerin 9s before. I think I may have got the wrong shoe. Comfort. OMG. But I didn’t realize these are a wider shoe. I have a little slippage and I feel like I have to do more work to move in the shoes. (My pace is 8m). Really apparent when I come to a stop and start walking. The toes feel very high compared to the heal. (+4 I think). With Roadrunners policy I think I will go back and swap them for the Bondi 4 or Conquest 2 that wasn’t as comfy in the toe box but felt closer to the Brooks. I think the people at the store need some more direction on selling the shoes as the website wouldn’t put me in the constant to begin with.